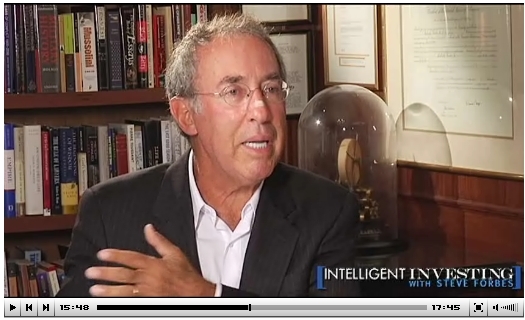 In the latest edition of Forbes’ Intelligent Investing, top fund manager Ron Baron talks about his investment approach, and offers his take on where the market stands right now. Baron discusses the importance of investing in firms with economic “moats”, the value he puts on strong management, and the need to think long term. Baron, who keys on smaller- and mid-cap firms, says stocks are “unbelievably cheap” right now because of high levels of fear in the market.